Heather Barr, MS, CCC-SLP has been a speech-language pathologist for over ten years, working in diverse settings, yet with a primary focus on inpatient/outpatient rehabilitation programs. She is the speech language pathology department manager and inpatient Brain Injury program leader at HealthSouth Rehabilitation Hospital of York. Heather obtained her BA at the University of Pittsburgh and her MS at Clarion University of Pennsylvania. She has further developed her clinical skills by obtaining certifications in NMES/VitalStim treatment, DPNS/FMEP and LVST. Heather is also a Certified Brain Injury Specialist, ACBIS. She is a program co-leader/co-creator of a newly developed Neuro Work-Hardening program at HealthSouth York, combining PT, OT and ST service needs in a holistic and job simulated environment for patients with neurological injuries. She has provided numerous educational seminars in the areas of cognition (low level – high level), post-concussive syndrome and returning to work after brain injury. Heather is also a certified Interactive Metronome Provider, implementing the use of the IM modality as an instrumental treatment option for the remediation of communication and cognitive dysfunctions. April Christopherson, OTR/L has been an Occupational Therapist for almost 20 years and has worked with diverse populations in a variety of settings – including home health, private clinic and in-patient rehabilitation. She is the owner of MaxAchieve, Inc. in Colorado Springs, CO where her current clientele range from pediatrics to adults to high performance athletes, both stateside and internationally. She is the creator of the BrainFirst! neuro based treatment for clients. She believes in a whole, team approach to the client – including various medical professionals and therapists plus the use of functional neurology and metabolic/nutrition counseling. She also works exclusively with the Shandy Clinic in Colorado Springs, CO as the Director of Occupational Therapy providing solutions to families with children suffering from autism, Asperger’s, ADHD and other diagnoses. April has worked as a legal consultant and as an expert witness throughout the United States. She is a member of both the Advanced Brain Interactive Metronome adjunct faculty and teaches introductory and advanced continuing education courses to professionals. April was granted her degrees in Occupational Therapy and Psychology from St Ambrose University in Davenport, IA in 1991. She has furthered her education by taking courses and attending conferences that foster her knowledge in helping clients recover neurological functioning from the lowest level to the higher cognitive and executive levels – such as Boehme Approach to Treatment of the Baby, Sensory Integration Clinics (various), The Listening Program, Alert Program, Talk Tools, Treating Drug Affected Children, OT in the Schools, Benbow’s Loops and Other Groups, Marriage and Family Counseling, Nutrition, Studies in Neurology, Traumatic Brain Injury and various other certification classes. She uses Interactive Metronome in conjunction with The Listening Program as an intensive neurological treatment option for qualified clients and as an introductory functional treatment option for pediatric clients. Dara Coburn, MS, CCC-SLP received her undergraduate and masters degrees from the University of Central Arkansas and holds the Certificate of Clinical Competence issued by the American Speech-Language-Hearing Association. Dara served as the National Program Champion for Interactive Metronome within the HealthSouth Corporation. She currently serves as Interactive Metronome’s Clinical Support contact person for Life Care Centers of America. Dara has been teaching IM Certification Courses since 2007 and has contributed to the development of the Adult Best Practice Certification Course and Fall Prevention Protocol. With expertise and experience in the field of neurological disorders, Dara has been able to accept this new treatment tool and successfully integrate it into her practice by modifying it to individually meet her patient’s needs. 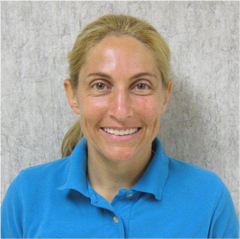 Allison Eagen, MPT graduated from Florida A&M University in 2003 and is currently the lead outpatient therapist at HealthSouth Rehabilitation Hospital of Tallahassee, Florida, which has the only Joint Commission Certified Stroke Program in the region. 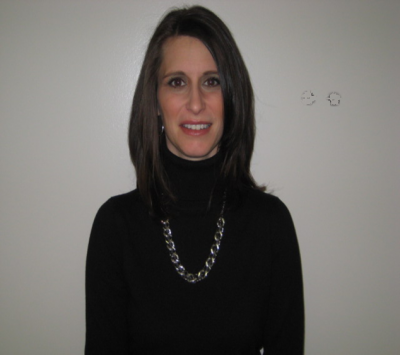 Allison specializes in multiple neurological conditions, primarily with adult patients. 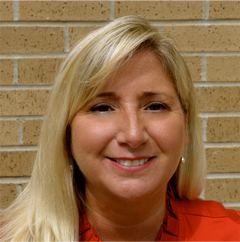 She has worked at HealthSouth since 2007 and is certified in Interactive Metronome. Allison is the program champion for Interactive Metronome, as well as technology champion for a host of other technologies used at HealthSouth. 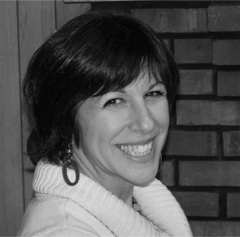 She has developed a niche for structuring creative treatment techniques that utilize technology as a strong adjunct to traditional methods to produce optimal results that exceed patient expectations. Allison conducts educational seminars within the community and to physician groups on the use of technology to enhance outcomes. She also assists a variety of disciplines with the use of Interactive Metronome and the development of unique treatment regimens for patients. Andrew Dillen Hartley, OTR/L graduated from the University of Pretoria, South Africa, School of Occupational Therapy in 1995 and moved to the USA in 1996. He is co-owner of Advanced Therapy Solutions, Inc., an outpatient Physical and Occupational Therapy practice serving clients of all ages in five locations. Mr. Hartley has 14 years of clinical experience and is trained in multiple treatment approaches with both adults and pediatrics. His interests include the treatment of deficits related to stroke, traumatic brain injury, autism, developmental disorders, sensory processing disorders, ADHD, ADD and learning disabilities in infants, children and adults. His experience with sensory integration, neuromuscular re-education, brain gym, vision therapy, environmental adaptation, Tai-Chi, yoga and technology based treatment approaches for all ages has served him well as a presenter of certification courses, webinars and professional seminars. Mr. Hartley serves as a clinical advisor for Interactive Metronome and other “Therapy based” companies in research, protocol and practice development areas. 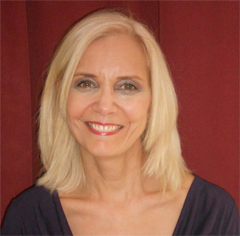 LorRainne Jones, MA, CCC-SLP, Ph.D., BCBA-D is a licensed speech-language pathologist with a Ph.D. in Education. She is also a Board Certified Behavior Analyst-Doctor. Dr. Jones is the owner of Kid Pro Therapy Services in Tampa, FL. Kid Pro Therapy Services is a multidisciplinary clinic offering speech, occupational, physical therapy service, tutoring and ABA services to children with a wide range of disabilities including autism, ADD/ADHD, Apraxia of Speech, Cerebral palsy, Down syndrome, Auditory Processing Disorder (APD), sensory processing disorders, Dyslexia, Dysgraphia, receptive and expressive language disorders, articulation disorders and fine motor deficits. Kid Pro Therapy Services also provides services to adults with developmental disabilities. Before going into private practice, Dr. Jones worked in school systems in Michigan and Massachusetts, and later was a visiting assistant professor in the Language and Cognitive Development Program at the University of South Florida in Tampa. She is the author The Source for Expressive Language Delay and was the editor of the ISEP (Institution Special Education Program) Curriculum. Dr. Jones is married with three children. 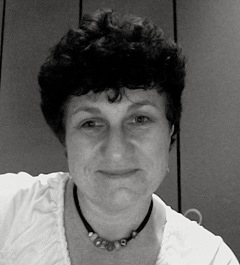 Mary Jones, OTR/L, LMT, CIMT graduated from St. Loye’s School of Occupational Therapy (UK) in 1986, has been an Occupational Therapist for 20+ years and has been practicing in the USA since 1993. Additional training has included a BS in Healthcare and Social Welfare from Manchester University in 1992, NDT certification in 1994 and Massage Therapy License in 1996. Mary has worked in a variety of healthcare settings in both the USA and the UK. These include home health in the inner-city (London), orthopedics, geriatric psychiatry, outpatient rehab, brain injury specialty (adult and pediatric) and pediatric outpatient therapy. Clinical advanced training includes NDT advanced courses, infant massage certification, cranio-sacral therapy, myofascial release techniques, motor control and the development of motor learning, Therapeutic Listening Program, Integrated Listening Systems, Brain Gym, Pilates, Active Isolated Stretching Techniques, Visual-motor Training, Vestibular Training, Beckman Oral Motor Assessment and Intervention, Handwriting Without Tears, ADHD and Nutrition Interventions, Aromatherapy, Aquatic Therapy, Sensory Integration assessment and interventions, autism assessment and interventions and Development of Best Practice Strategies with IM. Mary owns her own pediatric practice Sensational Kids, LLC., based out of Bradenton, FL. Mary has lectured extensively in her field at a local and national level. Dr. Cheryl Miller-Scott is a licensed occupational therapist and the Vice President of Therapy Operations for Encompass Health. She is a licensed occupational therapist in the state of Florida, with more than 30 years of experience working with physically impaired adults and children. 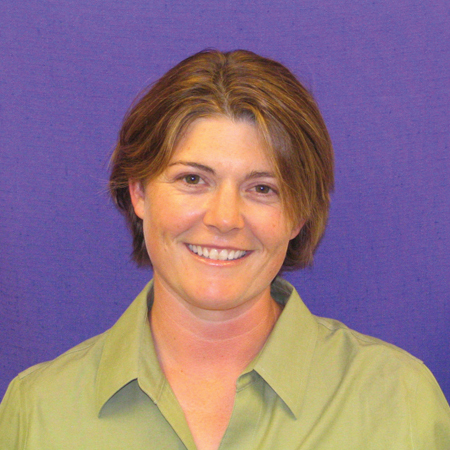 Dr. Miller-Scott is NDTA and Sensory Integration certified, and specializes in neurological rehabilitation. She currently oversees physical, occupational, and speech therapy services for Encompass Health’s 121 hospitals, which are distributed over 37 states. 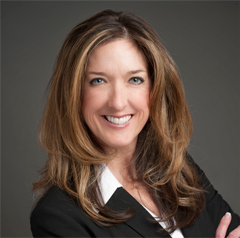 She received her doctoral degree in 2014 from Nova Southeastern University, and has most recently trained in six sigma and Lean management leadership principals. She completed her dissertation with a specialty in patient education and health literacy. Cheryl has also served as adjunct faculty for Nova Southeastern University, Florida International University, and Barry University. She has been working with IM since 2002 and has continued to help Interactive Metronome grow. Lorraine Sgarlato, CCC-A, Au.D. received her doctorate degree in Audiology from the Pennsylvania College of Optometry’s School of Audiology and has been an audiologist for 27 years. She has held the Certificate of Clinical Competence issued by American Speech & Hearing Language Association since 1984. Dr. Sgarlato is considered an expert in the field of auditory processing disorder and children with language based learning disabilites. Dr. Sgarlato is on staff at Robert Wood Johnson Hospital in Hamilton New Jersey where she works with a broad population of infants through adult. She performs audiological evaluations, auditory processing testing and therapy, hearing aid fittings and vestibular testing. Dr. Sgarlato has had a private practice in Yardley Pennsylvania since 1996. She employs teachers and therapists to evaluate and treat children with auditory processing, ADHD, PDD and language-based learning disabilities. Her practice concentrates on evidence-based therapies and practices which Dr. Sgarlato is certified in providing. These therapies include Fast ForWord Language programs, The Listening Program and Lindamood-Bell programs, as well as other multisensory reading programs. Dr. Sgarlato serves the community as an advocate and expert witness for children with various learning disabilities, including those on the autism spectrum. She often lectures to the community and to professionals on Brain Fitness, APD, autism, ADHD and vestibular rehabilitation. Dr. Sgarlato became an IM provider soon after the company went public. She is proud to be a member of the Interactive Metronome family and looks forward to educating the professional community on IM therapy and best practices. 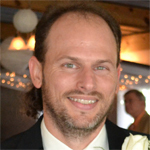 Todd J. Sullivan, PT, PCS graduated with Honors from the University of Florida School of Physical Therapy in 1997. He has worked as a Physical Therapist at Blake Medical Center in Bradenton, FL since graduation, specializing in Pediatrics since 1998. 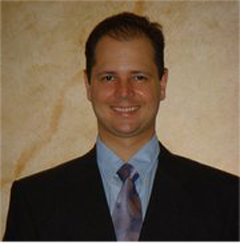 He has held National Certification as a Pediatric Clinical Specialist from the American Board of Physical Therapy Specialties since 2004. Todd is also a father of three, a pilot, and a runner, having completed three marathons and several half marathons (and counting). 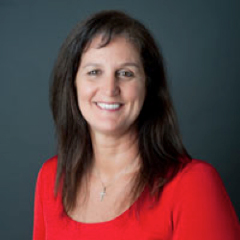 Shelley Thomas, MPT received her physical therapy degree from the Mayo Clinic in 1999 and is currently the Director of Rehabilitation at Idaho Elks Rehabilitation Hospital in Boise, Idaho. She has worked primarily with adults with neurological and general medical issues and has embraced incorporating Interactive Metronome and Gait Mate into treatment sessions. She serves as the lead therapist at her facility working with physical, occupational, speech, and recreational therapists to educate them about how to incorporate IM and Gait Mate into their treatments to improve functional outcomes. Shelley has been teaching IM Certification Courses since 2008 and has contributed to the development of the Gait Mate Certification Course. Amy Vega, MS, CCC-SLP received her master’s degree in Speech-Language Pathology from the University of South Florida in 1994 and holds the Certificate of Clinical Competency from the American Speech Language & Hearing Association. In clinical practice, she specialized in adolescent and adult rehabilitation for patients diagnosed with traumatic brain injury, stroke, epilepsy, brain tumor and other disease processes that affect communication, cognition and behavior. She currently serves as Director of both the Clinical Education Department and the Clinical Advisory Board for Interactive Metronome, Inc. and is their Continuing Education Administrator. 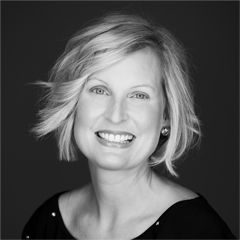 She provides clinical support to Interactive Metronome Providers globally, serves as Editor in Chief for IM’s clinical publications, develops IM certification & training materials and is the master-trainer for IM certification instructors.